Win a double pass to Miracle City starring Missy Higgins at the Sydney Opera House | Daily Review: Film, stage and music reviews, interviews and more. A divining light in Australian music theatre, Miracle City is a gospel-inspired tale of family, fortune and faith that will have you on your feet with your hands raised high in praise! Starring Missy Higgins in her musical-theatre debut, this celebrated Australian musical takes over the Sydney Opera House from October 12 to 29. Set in the early 1990s, at the height of televangelism, Miracle City tells the story of the Truswells, a family with a dream to build a religious theme park, and the extreme lengths the patriarch will go to in order to make their dream a reality. Daily Review has one double pass to the performance at the Sydney Opera House on 12 October 2017, 8.15pm. For your chance to win, enter your details here and make sure you’ve liked us on Facebook to boost your chances of winning. 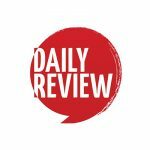 This competition is promoted by dailyreview.com.au and will be drawn on 18/9/2017. The competition is open to residents of Australia and New Zealand unless stated otherwise. Information on the method(s) by which the competition can be entered are found here. Daily Review does not endorse, take responsibility for or provide a warranty of any kind for the prize(s) offered in this promotion, nor do we provide any transportation or accommodation that may be necessary. By entering this competition, you allow Daily Review to share your contact information with the company/companies providing the prize(s) to enable delivery of the prize(s).